Is there anything better than a really fabulously over-the-top celebrity wedding? I don’t think so, which is why I’ve written a novel about them. 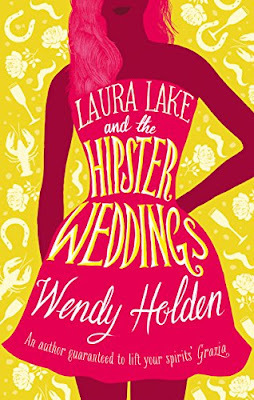 Laura Lake And The Hipster Weddings is a riff on the phenomenon of elaborately over-styled nuptials, from boho-chic woodland affairs with guests on haybales to castles, tiaras and ancestral carriages, or arty extravaganzas in Victorian loos in Shoreditch. Writing it, I was inspired by a number of recent real-life unions of famousness. 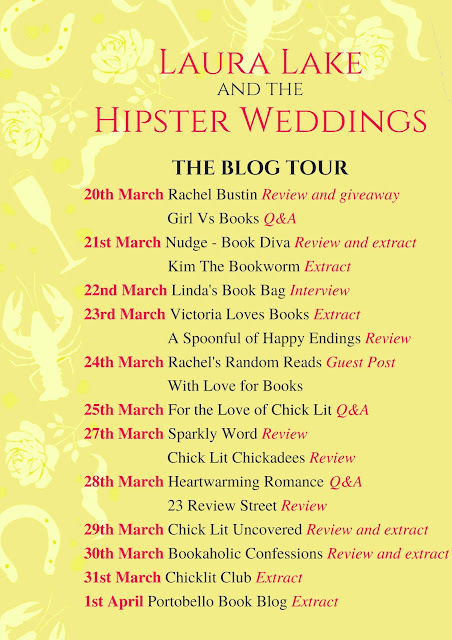 The twenty first century has marked a new high in hedonistic high jinks on a marital theme and long may this continue! Here are my top five. 5. The bohotastic Charlie Gilmour nuptials when the bride and groom (stepson of Pink Floyd star Dave), wearing only the flowers in their hair, jumped starkers into a Sussex river in 2016 to join guests already in there. 4. Tamara Ecclestone and Jay Rutland Billionaire Bernie’s little girl Tamara made it legal in a lavish three day 2013 French Riviera extravaganza. Brandishing a champagne flute and wearing three separate white outfits over the course of the celebrations, Tamara danced on the beach with a groom resplendent in white shorts and blue deck shoes. A banging post-wedding beach set was provided by superstar DJ Mark Ronson, while wedding singers were Elton John, Mariah Carey and Lionel Richie. Lionel dedicated Endless Love to the couple, although it might as well have been Endless Money. 3. Bo Bruce’s cosmic Celtic handfasting in Savernake Forest. Under a mighty oak called The King of Limbs, and watched by guests sitting on haybales and conveyed into the depths of the forest by tractor, The Voice star wed her best friend/bandmate/ Henry (the groom wore no socks) in a 2016 ceremony involving their hands being bound together with ribbons. The magical nuptials were full of creative touches; besides poetry readings there was an acoustic performance by Red Sky July, a trio including someone called Charity Hair. 2: Andrea Casiraghi and Tatiana Santo Domingo. An intimate 2013 ceremony in the stunningly understated location that is Monaco. The sunglasses-sporting groom’s arrival in an army jeep kicked off three days of celebrations including a party on Princess Caroline’s yacht. To wed the second in line to Monaco’s throne, Colombian billionaire’s daughter Tatiana sported her signature laid-back hippie-chic style; a bespoke crochet gown by Missoni and a simple wreath of flowers on hair styled in flowing waves. The couple’s Boston terrier dog Daphne was in attendance. 1: Will and Kate The splendid 2011 Westminster Abbey bash with Prince William and his brother showcasing splendid red uniforms and Pippa Middleton showcasing her famous bottom has yet to be equalled for sheer showbiz glamour. The cartwheeling verger, Princess Beatrice’s alien hat, the real trees in the cathedral aisle and David Beckham actually wearing his OBE are only some of the details that linger in the memory. Can Prince Harry’s rumoured forthcoming nuptials knock it off the number one spot? Thanks so much Wendy for these great examples of extreme weddings. For more amusing weddings, take a look at Laura Lake and the Hipster Weddings which I loved. She'll need a triple-barrelled name for the castle one. She'll need a gallon of glitter for the woodland one. She'll need a lobster-shaped hat for the Shoreditch one. Laura Lake longs to be a journalist. Instead she's an unpaid intern at a glossy magazine – sleeping in the fashion cupboard and living on canapés. But she's just got her first big break: infiltrate three society weddings and write a juicy exposé.